TONG TANA – Eine Sprech-Wort-Fusion is an ethnographic sound work for radio comprised of field recordings, narrative and prose that describes both the plight of the remaining native forests of Sarawak, on the island of Borneo, and the cosmology of the first peoples who desire to still live in them. 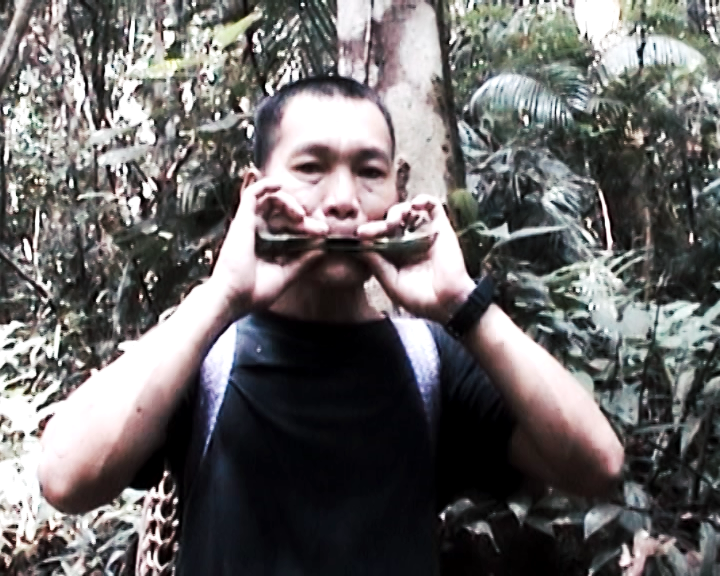 All melodic works were based on field recordings of one of the traditional instruments of Sarawak, the Sapeh. Melodies drawn from one of these recordings was used to create the soundscapes heard throughout TONG TANA, including the mellatron voicings a third of the way through. The sapeh was recorded at Sungai Asap, one of several relocation areas where forest people have found themselves after being removed from their customary lands to make way for, in this instance, the contraversial Bakun Dam. It was performed by The Sape Master. TONG TANA was originally conceived of as a live performance. Its earliest iteration was performed by Garton in collaboration with the South African based Benguela on 31 July 2009, at the Alliance Française, Cape Town. Garton further developed the work during a two year artists residency at Dunmoochin, a residency program established by the late Australian artist Clifton Pugh and set in the bushlands of outer Melbourne. Just to let you know I listened to TONG TANA early this morning. It was my first streaming experience after a lot of fiddling working how to use until I found the play button! Loved your piece and can see how much work you put into editing it together into the theme of being at one with nature and the impact of the ‘cutting’. As I listened I had the pouring rain dominating my left ear and the Sarawak forest sounds in the other. I could have tuned into the symphony of the forest for a lot longer as it infiltrated every cell of my body and sent me somewhere else. One cannot imagine the loss to those people whose soul and being has been accompanied by those sounds to give meaning to their existence for eons. What amazingly beautiful secrets are in that forest. I’m listening to this on a gorgeous Sydney day. The rain has finally stopped. I’m feeling it all. For more information or rights for re-broadcast please contact Andrew Garton.